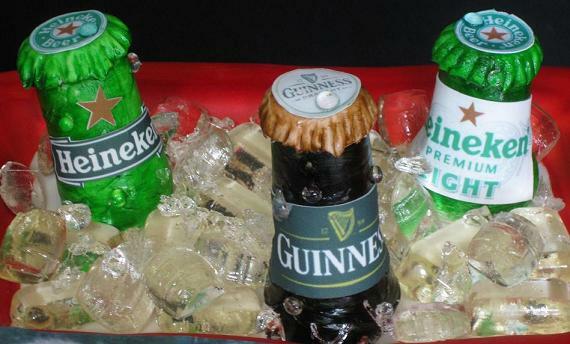 ”Hey Steph, I want to say thank you for making such an awesome beer birthday cake. My boyfriend loved it. He was totally surprised! Tricia R. from Raleigh ordered this Guinness beer cake for Kevin's 40th birthday. Click the picture to enlarge and see the customized Guinness label with his toddler picture! 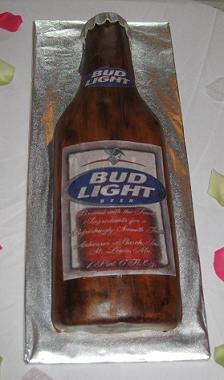 The beer cake was lemon flavor with buttercream icing covered with marshmallow fondant. This was the surprise groom’s cake ordered by the bride, Ashley H.
It is a beer cake theme flavored vanilla with butter cream icing covered in marshmallow fondant. Hand painted with edible brown food coloring and the labels were printed on edible rice paper. 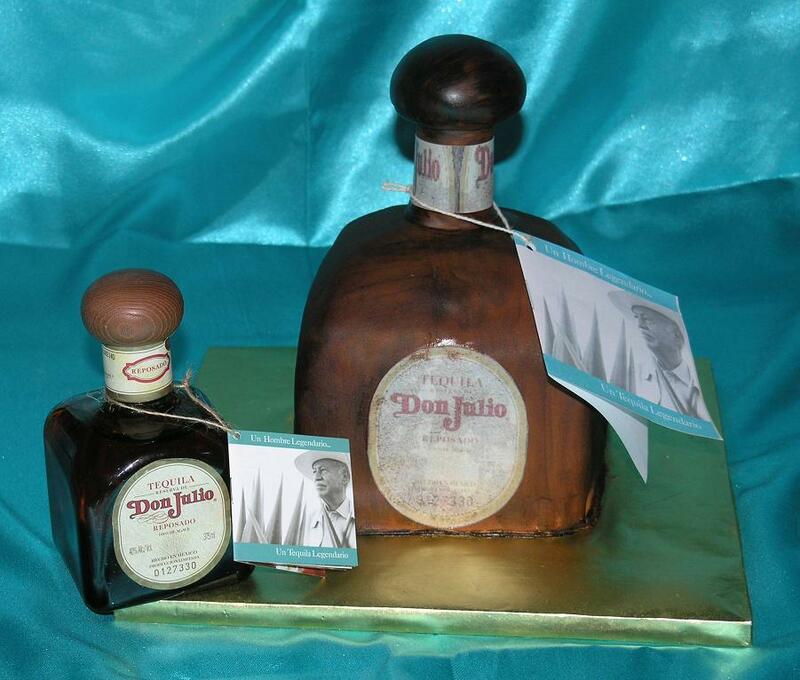 Here we have the Don cake, Don Julio, that is! This was our dear friend Aaron’s 45th birthday cake. He’s from Winston-Salem. 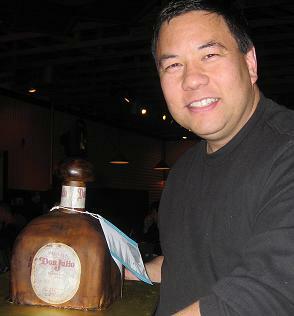 His wife, Mandy, wanted to surprise him with a cake of his favorite tequila, Don Julio. The cake flavor is yellow with butter cream and covered with marshmallow fondant and the labels were printed out on edible paper. Ask Steph about a beer birthday cake. We all had dinner and brought out the cake then surprised him with a real bottle of Don Julio tequila! Happy Birthday Aaron, Love you guys! This beer grooms cake was ordered special by Kelly W. from Raleigh for the groom-to-be who was a Miller Lite and golf lover. The beer cake was chocolate flavor with chocolate butter cream icing covered with our hand made marshmallow fondant with edible labels!